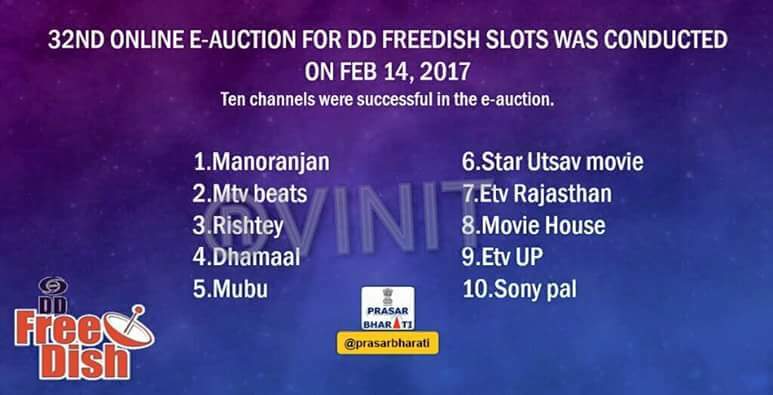 Browse » Home » e-auction , new channels , new channels on dd freedish » 32nd E-Auction has been successfully completed.32nd E-Auction Result 10 channels won slot. 32nd E-Auction has been successfully completed.32nd E-Auction Result 10 channels won slot. 32nd E-Auction has been successfully completed. 10 Channel Won This E-Auction. 4 new channels going to add on DD Freedish. And 6 channels have renewed there license. So keep visiting for more information about DD Freedish. Dhamaal gujrat kub add hoga ?